This past Sunday I visited my friend's house. She recently purchased a house that she is renovating. I really love her house and it has a lot of great potential. She is about finished with her living room, with the exception of painting. I love how it looks. She chose an eclectic style...it is so gorgeous! I love the blue tones in her space! 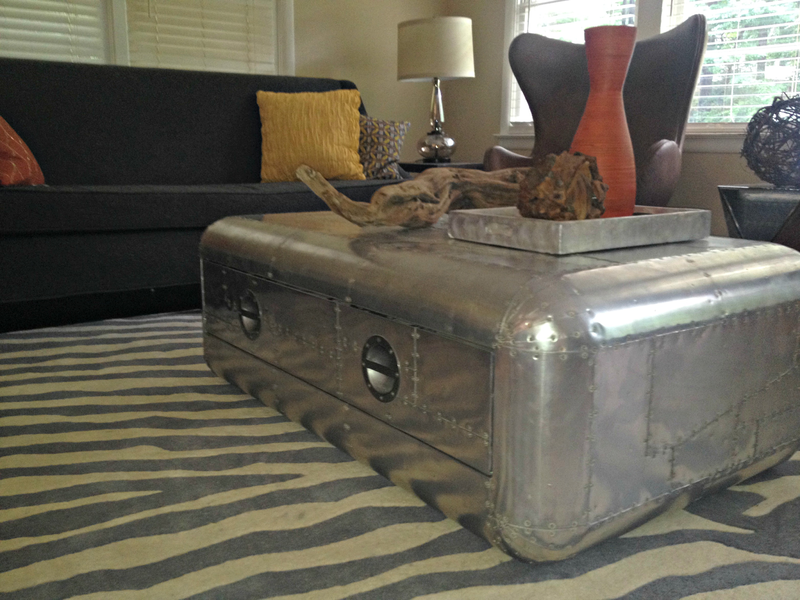 and let's talk about this coffee table. It is gorge! She got it from Restoration Hardware. She also found some great pieces at Goodwill. 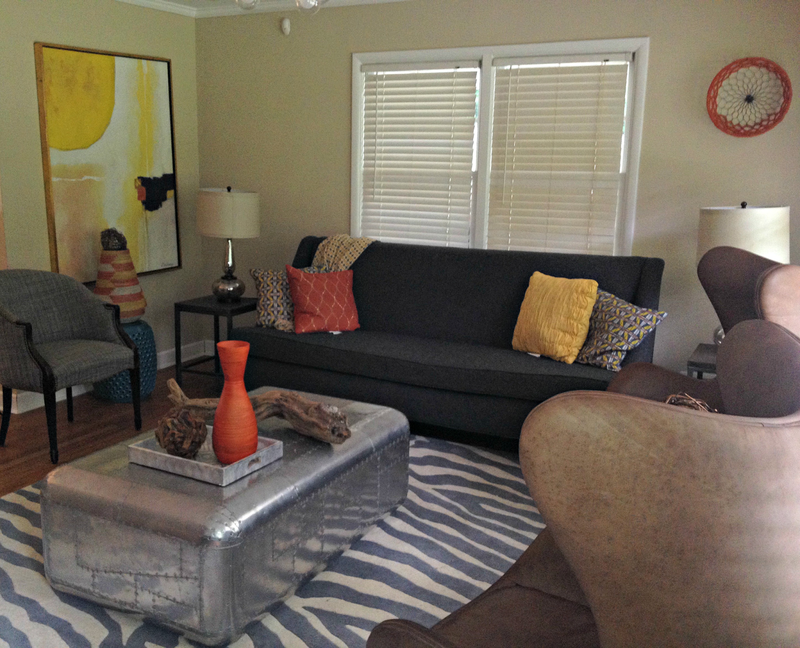 She had the couch on the right reupholstered and the chairs to left are as they were purchased. I love both pieces! She used accent pieces to bring in pops of orange into the room such as this orange pillow and the orange and yellow accent piece against the wall. The wall art also has the hints of orange in it. And here is another view of the room. I so wish I could have gotten a good picture of the front of these brown chairs. Unfortunately, the lighting and my cell phone just could not get the job done. But please know they are also great pieces she also found at Restoration Hardware. 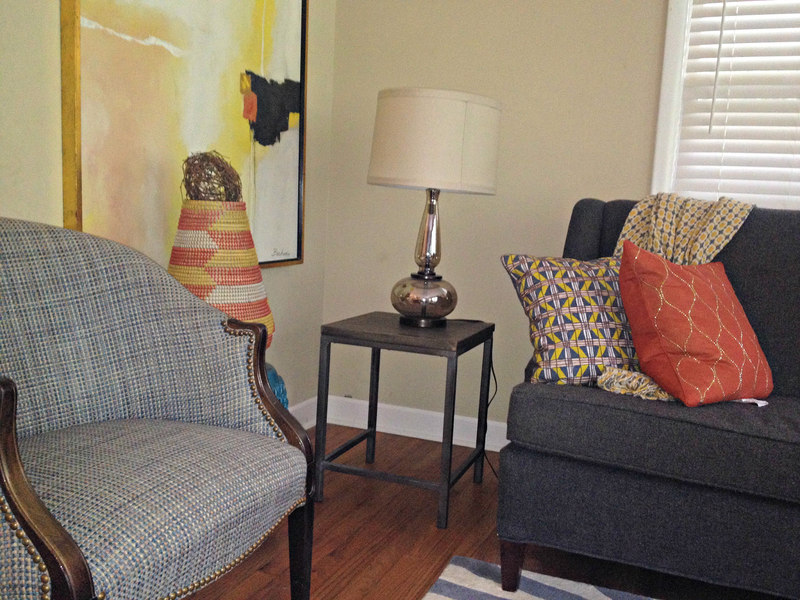 A special thanks to my friend, Cyana for letting me show off her space on my blog. So what do you think of this space? I love how effortless it looks! Those are some really great pieces. Your friend's got style! Serious style! 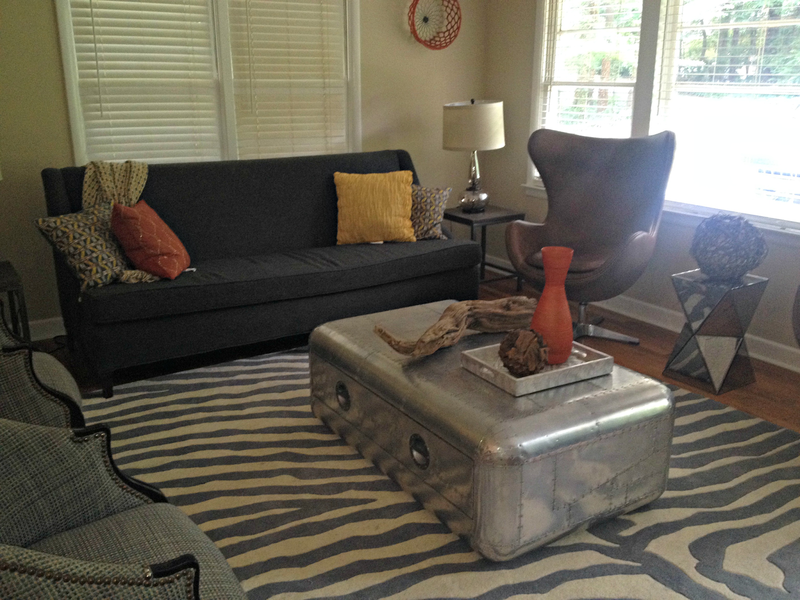 Love the rug and table especially!